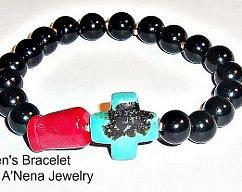 Men's Bracelet :Genuine Multi-Hued Fancy Jasper & Red Coral "The Secret To Being Balanced "
The Secret To Being Balanced is to:enjoy the journey of following your dreams, make sure you get enough sleep, healthy food and water, do things in moderation, protect yourself from influences that may hurt you and others. Do not take the baggage as your own that those you love own, do not allow people to manipulate you into doing what they want you to do especially when its different from what you want. 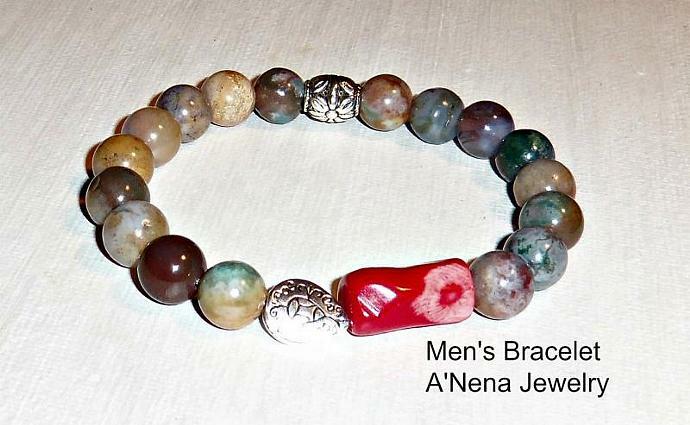 Men's Bracelet is made of genuine jasper, silverplated copper and red coral. Please include your wrist size inches. 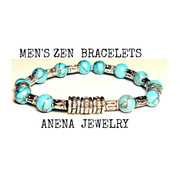 Speedy delivery,Excellent customer service and quality materials. 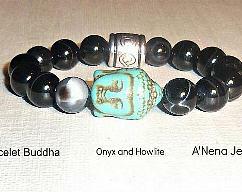 Color may vary because they are natural stones. 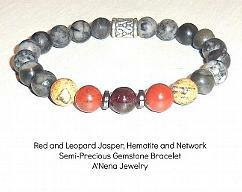 Men's Bracelet Jasper, Coral and Howlite "Unicorn"
Mens Bracelet Red and Leopard Jasper, Hematite and Network Bracelet. 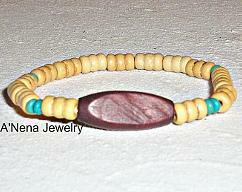 "Status"
Men's Bracelet Turquoise, And Wood" I Am In Charge II"